To celebrate the 10th anniversary of Air Max, Nike released the Air Max 97 in 1997, hence the name. 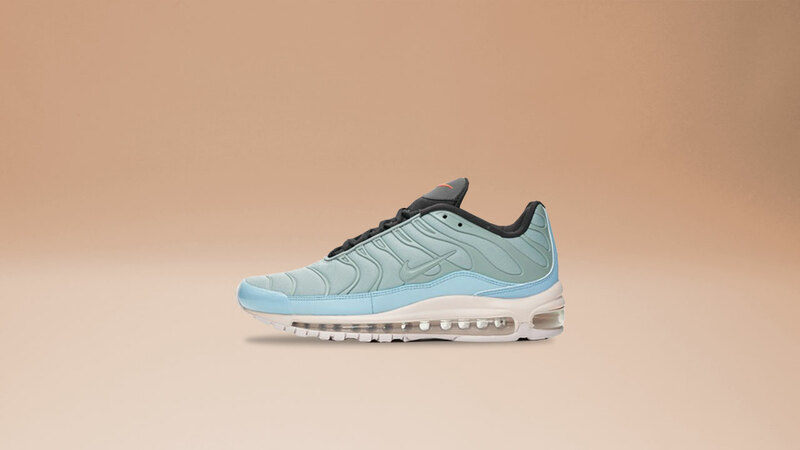 It is the first Air Max shoe to have the Max Air cushioning visible from heel-to-toe and the first Max Air unit developed for running. Aside from its cutting edge midsole technology then, the futuristic design and unique lacing system was also ahead of its time when it was first released into the market. The Air Max 97 is as innovative as it looks. It is equipped with a full 3M Scotchlite retroreflective material, adding a safety measure for night runs. While the design is popularly known to have been inspired by the high-speed bullet train, the rippled design is actually reminiscent of a raindrop falling in a puddle of water. It first debuted in silver called “Silver Bullet”, available for men and women while the gold colorway didn't arrive until 1999. The popular colorways were inspired by metallic finishes on mountain bikes. 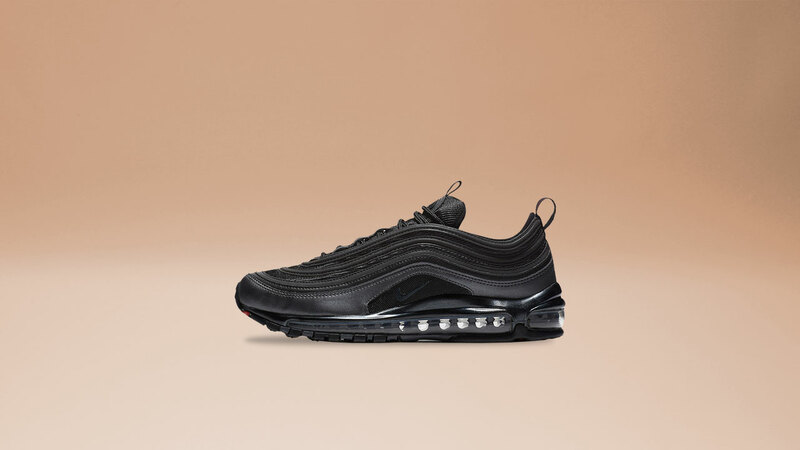 The Air Max 97 2018 release features a low-profile rubber which increases durability and provides a clean look while the soft knit upper and lightweight cushioning deliver comfort. 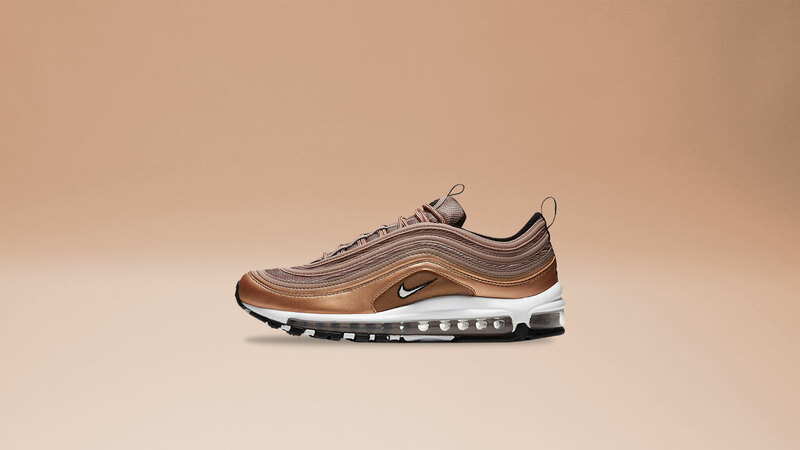 The welded design lines are derived from the original Air Max 97 shoe. A cult classic made better by innovation. But perhaps the most interesting yet is the Air Max 97 and Air Max Plus hybrids. 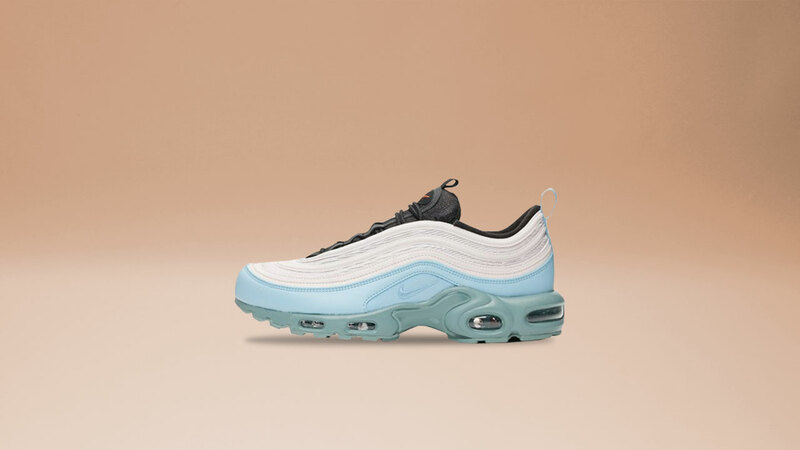 Arriving in a chic Mica Green and Barley Rose colorway, decide whether you'd go for an Air Max 97 sole with an Air Max Plus upper or go the opposite direction with an Air Max Plus sole and an Air Max 97 upper. Either way, you've hit jackpot.